I'm fairly known for my...weird funny eccentric Halloween costumes. Growing up in the South, we didn't really do a whole lot for Halloween. Sure, my sister and I dressed up and went trick-or-treating, but we had rules...no scary costumes and to let my parents inspect our candy before we ate it. (this was post poison Tylenol scare). 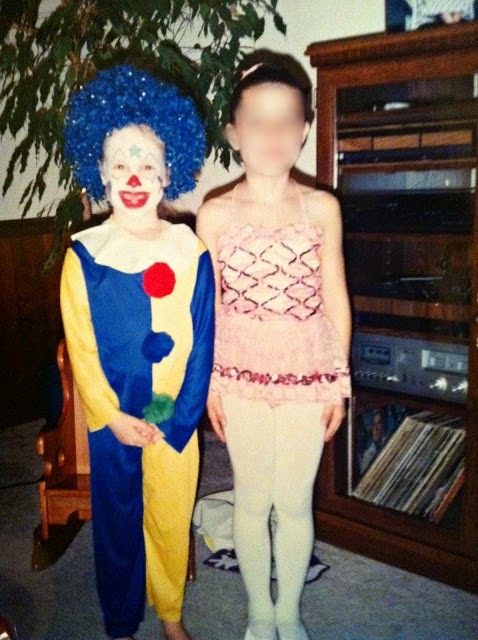 So over the years, I kept one of my Halloween "rules" and added my own: No skanky costumes and at least 80% homemade. Because anyone can go out and buy a slutty ghost costume. Making your unique costume is way better! My last few years of costumes included people, animals and inanimate objects, with the latter two being my personal favorites to dress up as. 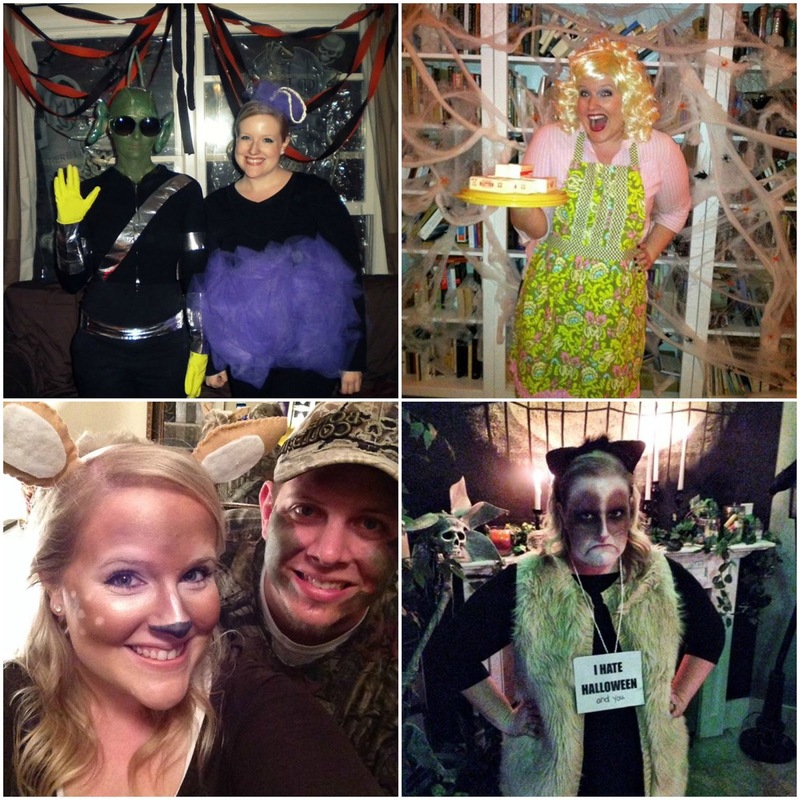 Clockwise from top left: A loofah, Paula Deen (prior to her media scandal), a doe and Grumpy Cat. This year's costume is another inanimate object. I'm not quite as jazzed about it...simply because I love doing animal-related makeup, but I hope it will be a hit! Stay tuned for pics next week or follow me on instagram to see. Come back on Thursday for a Halloween-themed Thursday Thoughts! I love seeing what other people have dressed up as for Halloween in the past. The loofah one is so cute! I love make at home costumes. We're not dressing up this year but I have an awesome costume idea that we'll be using next year. I will always love your grumpy cat one the best!! SO GOOD! DIY costumes are the best. one year my friends and i were tetris pieces; that was a lot of fun. when the movie Kill BIll came out, i was GoGo so i borrowed my friend's high school uniform and my husband made me a mace out of a plastic ball and braided cord...i'd say that was my best costume! Grumpy cat for the win! One year, when I was in college, I still had some of my high school dance team leotards & tights...I dressed one of my roommates like supergirl and another like Sandy from the last scene in Grease. The only thing purchased was a cape! I've repeatedly dressed myself as an 80s groupie...all from my own closet. Halloween is fun!